This watch was presented to David Lawrence at an AP dinner in his honor. 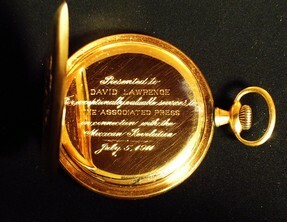 Mr. Lawrence was the first U.S. reporter to cover the revolutionary uprising in Mexico, and because of his close relationship with Woodrow Wilson, was the President’s unofficial advisor on the burgeoning conflict, (a search online of Mr. Lawrence’s bio makes reference to this presentation watch). David Lawrence - who was one of the most respected and lauded newspaper reporters in the history of U.S. journalism - went on to found the U.S. News, which later became the U.S. News and World Report, and served as its CEO for most of its existence in the 20th century. 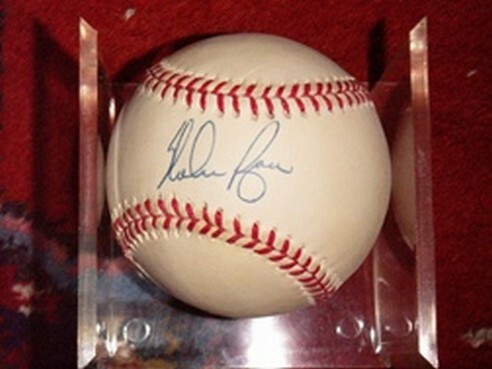 This is a very nice Nolan Ryan signed baseball. Baseball is in excellent condition and signature is crisp and easily legible. Signed in blue pen. A nice collectible that will only go UP in value. Original Gustav Stickley rocking chair, made circa early 1900's. It is made of in mission-style, has three vertical slats on the back, and the traditional craftsman styling. 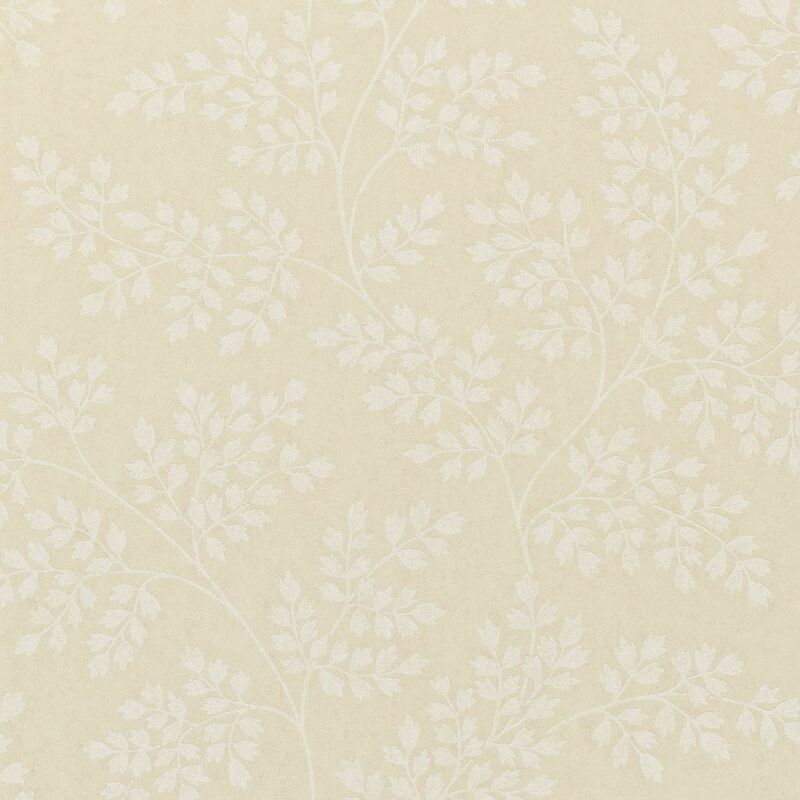 It is a more compact size and more lightweight than the Stickley morris chairs. Original and unrestored. In very good to excellent condition. 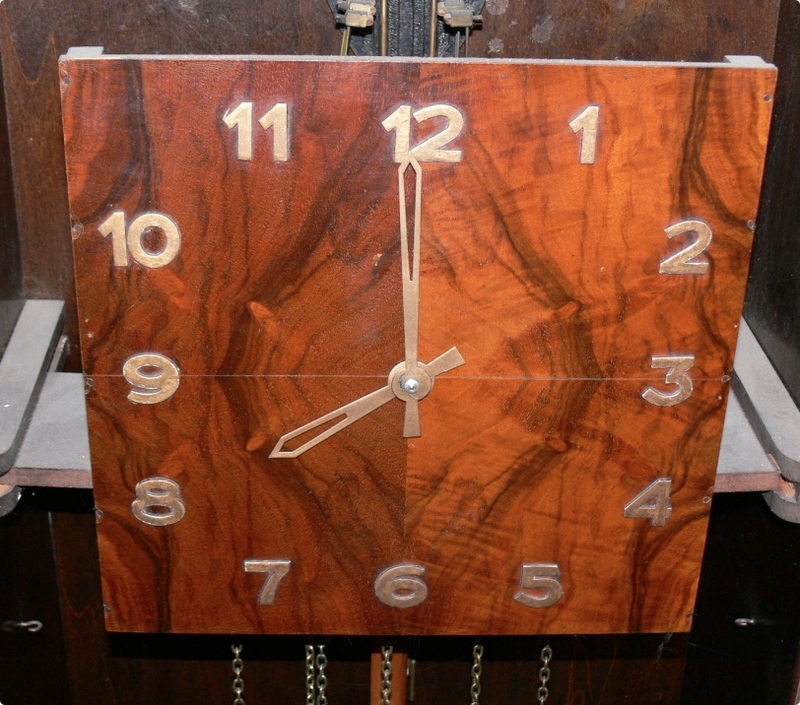 This French / Belgium Art Deco grandfather clock has been kept in good running condition. 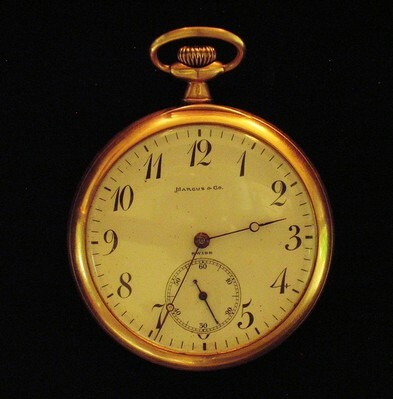 It keeps perfect time and chimes on the hour and half hour. This clock is works beautifully. The new owner may wish to finish the casement. On a scale from 1 to 10, I would rate this a high 6 or 7. The wood has a burl finish, but there are several places where the burl veneer is bubbling and has a ripple appearance, particularly in the upper right side corner. Nothing serious, but if buyer wishes to do so, this could be repaired without extensive effort. Measures approximately 78.5" high x 20.25" wide x 9.5" deep. 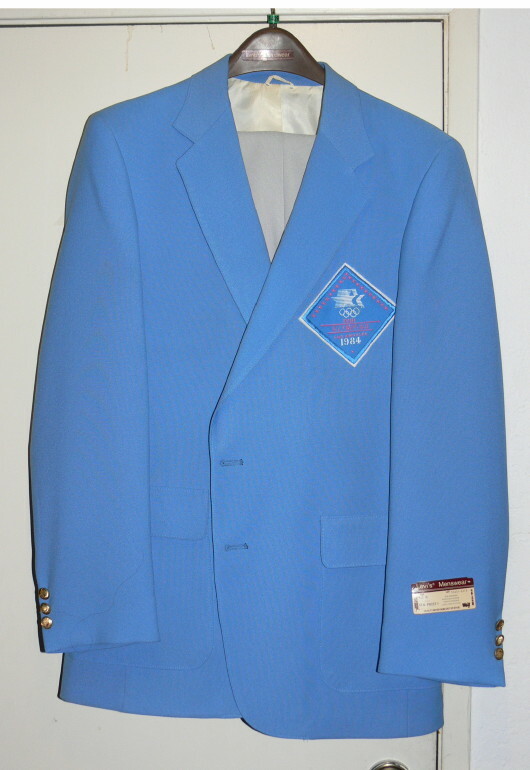 This is an ORIGINAL unused officials uniform for the 1984 Los Angeles Olympic games. 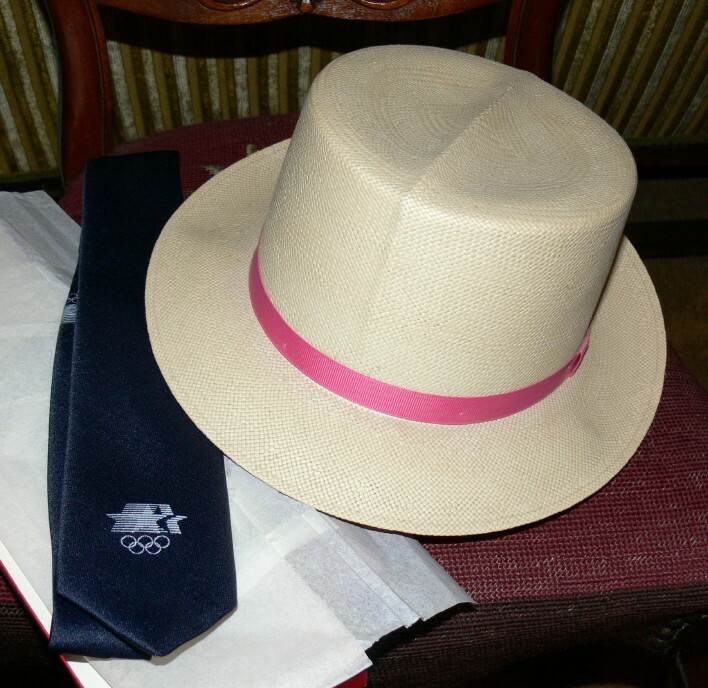 Uniform comes with powder blue jacket with breast crest (42R), steel gray slacks (size 36), blue tie with Olympic logo, and straw Panama hat. This uniform has never been worn and is untailored and still has the original tags.